Incarnadine: also called "godsblood", this pinkish mineral-infused water seeps from the ground inside Blood Dome Temples. The Red Templars believe this to be a miracle of Tiber Septim. Drinking the liquid causes a kind of berserker trance. The Templars, who use the substance in their battle-rituals, believe it helps them commune with the Divine Tiber Septim and allows them to mimic his Breath powers. 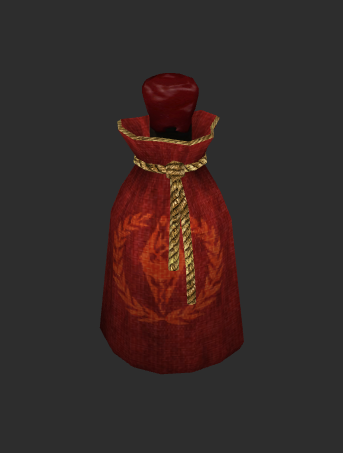 [*]Incarnadine: alchemical item, small vial filled with a reddish, blood-like substance. If possible, use red/gold theme of the vanilla Templar armor.